(CNN) - Monday is my last day at CNN.com, so it's a good time to reflect on what I’ve learned as religion editor here these past three years. The CNN Belief Blog will continue to go strong under the leadership of Eric Marrapodi, with whom I’ve been lucky to co-edit the blog since 2010. I’m off to National Geographic, where I’ll be director of digital news. 1.) The faith/meaning angles off breaking news can yield meaningful, important stories - even when it feels a little weird to do them. The recent Newtown school massacre offers a case in point: We wrote about people grappling with the question “Where was God?” in the tragedy’s aftermath on the same day the shooting happened. The approach might have been dismissed as “fluffy” in other newsrooms (and one college professor hung up on me when I explained what I was writing about), but exploring that question got to one of the most keenly felt sentiments among those in Newtown and among people watching the news from anywhere. Trying to make sense of seemingly senseless deaths and suffering is a fundamental human struggle. It helps explain why our piece quickly collected nearly 8,000 comments. People want to talk about belief, spirituality and the meaning of life - including when it appears that all hell has broken loose. 3.) Religion reporting shouldn’t be an inside game. “We believe that understanding the role of faith in today’s world isn’t optional or nice to know,” we wrote in our inaugural Belief Blog post, in May 2010. 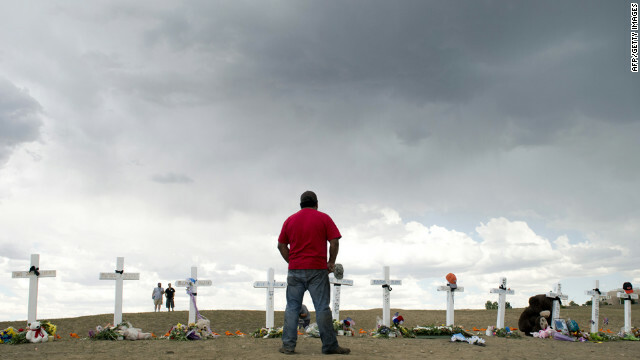 “It’s need to know.” That was true again for many of 2012’s biggest stories, for which understanding forces of faith and faithlessness were crucial to understanding the nominees for president, reactions to July’s deadly Aurora, Colorado, shooting and Whitney Houston’s funeral. You don’t have to be religious to think religion stories matter; you just have to be curious about the way the world works. I believe that more now than I did when we launched the Belief Blog. 4.) The news media isn’t anti-religion. You hear that from some religious people, particularly those on the political right. Truth is, news organizations such as CNN are fascinated by religion because it yields stories brimming with meaning, controversy and powerful characters. But the religion beat can scare off reporters because it can be so daunting (if you’re a non-Mormon, try wrapping your mind around the Mormon practice of posthumous proxy baptism in time to meet a 5 o’clock deadline). And yet so many CNN Belief stories were born when CNNers across the organization asked basic questions such as, “Will the Catholic presidential candidates don ashes for an Ash Wednesday debate?” and “Why don’t we explain why some American Muslim women wear the hijab?” Many other religion stories came from CNNers who volunteered ideas from their own religious subcultures. CNN forces working against religion coverage? I never encountered any. 5.) In the world of digital journalism, your voice matters more than ever. With the proliferation of reader comments, social media and instantaneous metrics on what our audiences are clicking and how they’re responding, your choices and opinions are shaping our coverage more than ever. Some of our best content from the last year was more about conversations happening around the news than about the news itself. We choose to do certain stories and skip others partly based on whether you’re engaged in those stories or not. Use your power wisely. I intended to create you this bit of note to be able to say thank you as before about the nice principles you have shown in this case. It was certainly surprisingly generous of you to supply without restraint exactly what a lot of folks would've distributed for an e book to help with making some money for themselves, precisely now that you could have done it in the event you wanted. Those suggestions additionally worked as a fantastic way to realize that other people online have the same passion just like my very own to figure out good deal more around this problem. I believe there are thousands of more enjoyable periods in the future for folks who looked at your website.